Ryan Scott and his pastry chef Curtis try to figure out a great dessert for a huge San Francisco event. Ryan plans on having his food truck at the annual Pride Celebration which draws about a million people to the area. 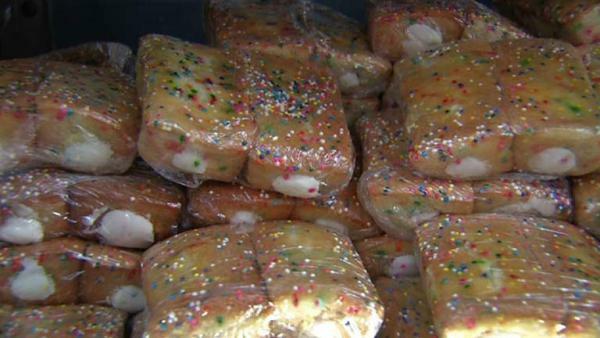 The team decides to whip up a batch of 900 funfetti twinkies! With too little time and too many twinkies on one truck, how will the gang manage? Will Ryan's twinkies pass with flying rainbow colors? Curtis gives Ryan a lesson in pastry making when they decide to make funfetti twinkies for San Francisco's annual Gay Pride celebration. Watch Ryan get his baking on in the kitchen! Ryan reveals his twist on the classic steak and eggs sandwich. Don't miss these fun ways to get creative with your breakfast! Ryan goes in for another hectic day at his radio show "Cooking With Ryan Scott" on KGO 810. Are you ready to drool over Ryan's mouth-watering description of his summer eats? Chef Ryan Scott shares a recipe for a Cuban croissant sandwich.